This small trinket dish was made out of a slab of strong stoneware clay which was impressed with a pretty leaf pattern and folded into a flower like shape. 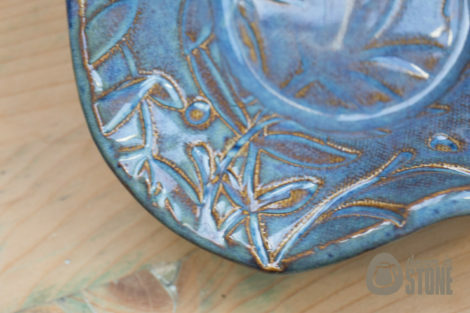 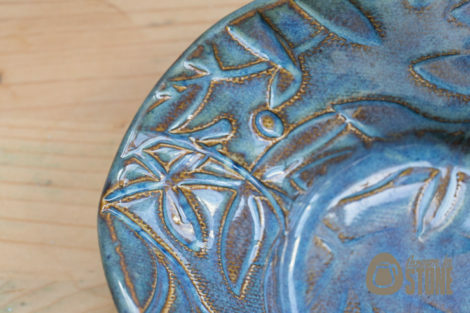 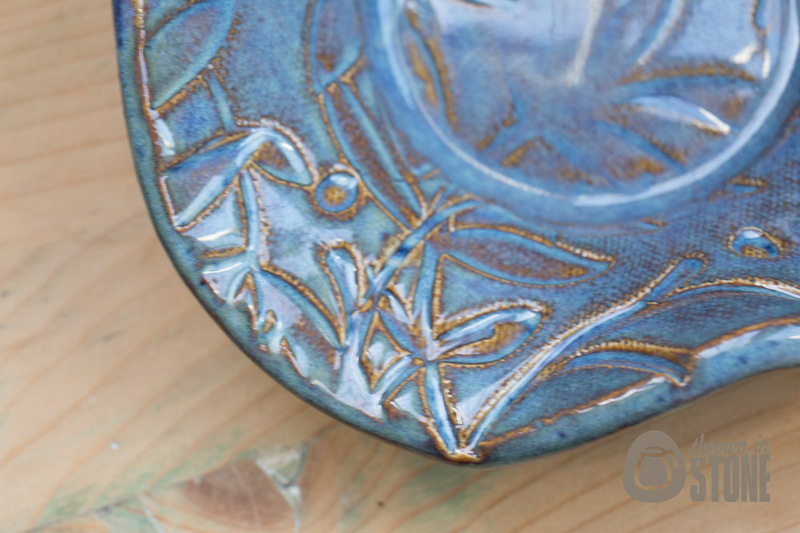 Finished in a glossy lustrous blue glaze which highlights the pattern beautifully.. 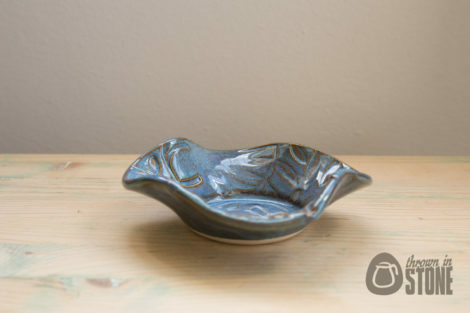 This would be perfect as a decorative item or a little trinket dish. 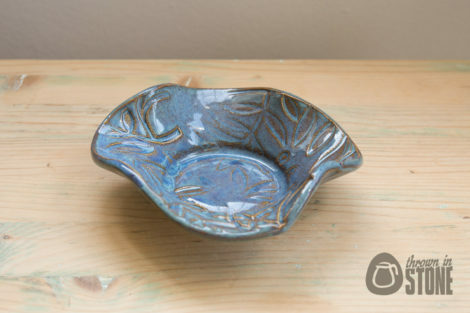 Could also be used for holding small candles.